Getting our legal and financial affairs in order is one of the hardest responsibilities in adult life, but also one of the most important. We preserve harmony among family members and mitigate the chance of future conflict by taking the time to have frank conversations about what lies ahead when a parent approaches advanced age. Some incident involving money can be the impetus for family discussing how to care for mom or dad. We rarely have advanced warning that dementia is coming, and figuring out someone’s wishes in the reaction to an inciting incident may be a bit like closing the barn door after the horses are already galloping free, so to speak. It’s important to begin such conversations with letting mom and/or dad know that you hope they live for many more years and remain sharp as a tack mentally so they do not become defensive and worry that the kids are ganging up to try and get their hands on a lifetime of possessions and savings. Death is inevitable for all people and could just as easily happen tomorrow or in 20 years. Knowing their wishes simply takes care of making sure the senior’s wishes are unambiguous well before their capacity to make decisions is impacted by disease or some unforeseen catastrophe. Certified Estate Planning Specialist Martin L. Pierce, an attorney with the Pierce Law Firm in Chattanooga, Tenn., said a legal document called “Power of Attorney” may be drafted to give a designated party the power to act on someone else’s behalf. It may be limited to certain activities, such as filing taxes. If no such document has been drafted and the senior loses the capacity to manage his or her own affairs, the courts may grant what’s called a “Conservatorship” to a responsible party seeking to handle such matters on behalf of the senior. 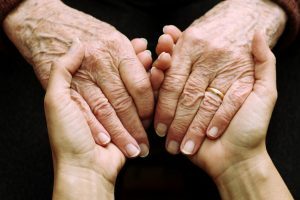 He said a document known as a “Revocable Trust” comes in handy for seniors who may want to modify it, which they still can as long as they remain alive and competent. Contrary to what some believe, the assets in a Revocable Trust must be reported. Pierce said some possibly confuse it with an “Irrevocable Insurance Trust”, which is designed to avoid these taxes. Seniors and their families should explore the various options when planning for elder care. Pierce suggests discussing the various legal documents with him or an accountant before decisions are made. To learn more about elder law, call Martin Pierce at (423) 648-4303. To learn more about Regency Senior Living, call (731) 661-9888.